EA7 Emporio Armani Milano opened its Turkish Airlines Euroleague season with a strong 80-75 victory over Anadolu Efes Istanbul in Group C play. 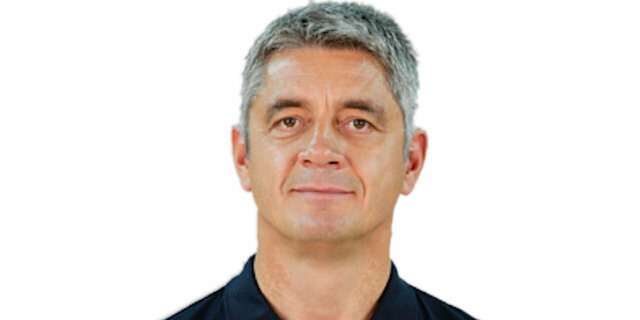 Milano had lost 9 of its last 10 regular season games against Efes since 2005-06, but head coach Sergio Scariolo’s team made 15 of 28 three-pointers and used a 14-0 third quarter surge to gain control of the game. 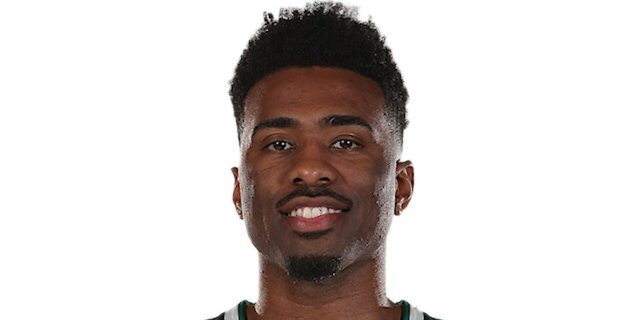 Ioannis Bourousis led the way for Milano with 23 points while Keith Langford added 16 points and Malik Hairston collected 10 points and 8 assists. 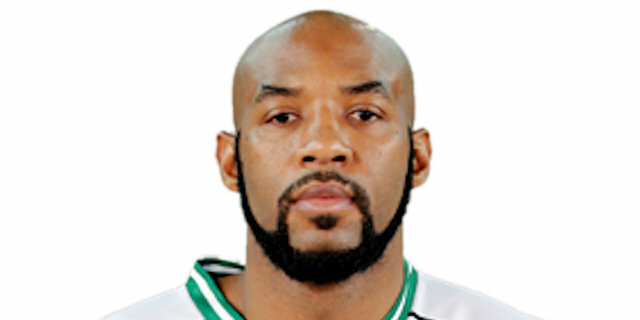 Istanbul made things interesting in the fourth quarter with runs of 0 11 and 0-8, but it was not enough. 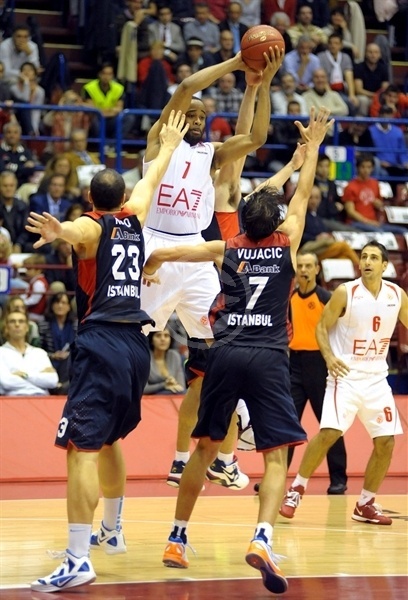 Jordan Farmer paced Efes with 19 points and 6 rebounds. Dusko Savanovic added 12 points in the loss and Ermal Kuqo chipped in with 10. 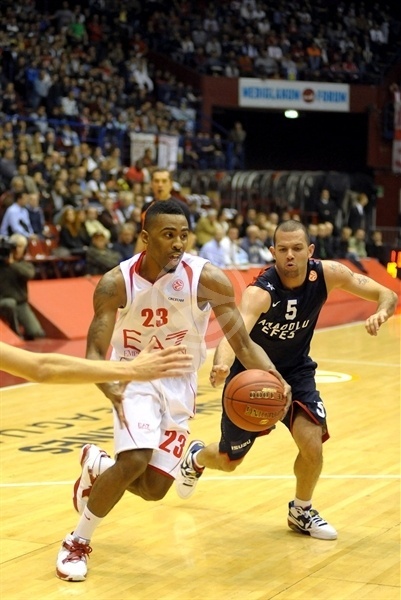 Milano travels to Cedevita Zagreb next week while Anadolu Efes welcomes reigning champions Olympiacos Piraeus. Savanovic opened the scoring for the guests before Bourousis hit a triple from straight on as Milano had their first points of the Turkish Airlines Euroleague season and the Greek international made two foul shots for a 5-4 lead. Farmer answered with a jumper off the glass to give Istanbul back the lead and then converted 2 free throws after an unsportsmanlike foul. 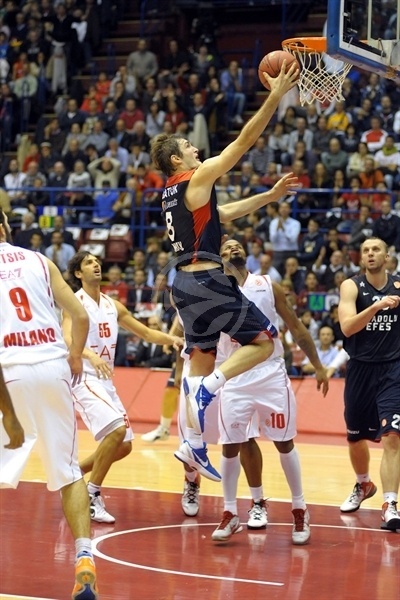 Savanovic followed with a jumper for a 5-10 Efes lead. Bourousis came back down at the other end and nailed a three-ball to cut the margin to 8-10. Sasha Vujacic made his first basket of the season for an 8-12 advantage only to see Armani get into the paint. Hairston hit a jump hook and Omar Cook and Langford both beat their defenders for layups to pull ahead 14-12. Langford stepped out for a jumper for EA7’s biggest lead at 16-12. 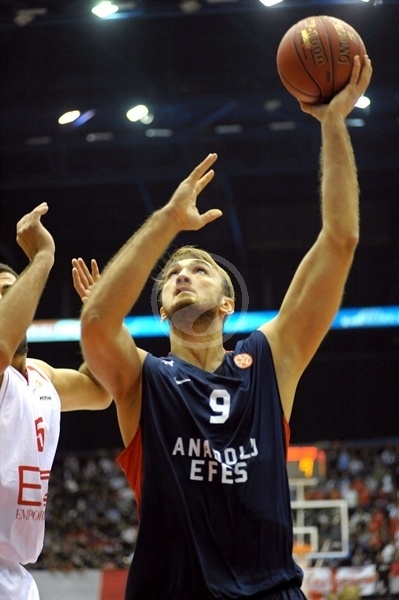 Stanko Barac answered with three points for Efes before Nicolo Melli’s two foul shots gave the hosts an 18-15 cushion after 10 minutes. The first points in the second quarter came nearly two minutes into the frame when Rok Stipcevic made 2 foul shots after a technical foul on Savanovic for a 20-15 Milano advantage. Semih Erden finally made a free throw at the other end after missing his first three attempts. But Alessandro Gentile knocked down a triple from the right corner to open a 23-16 margin. 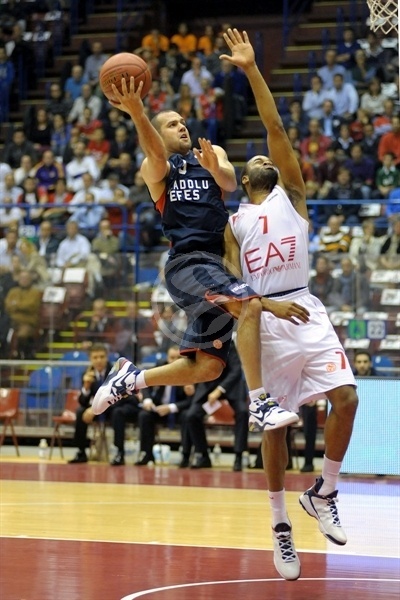 Farmer answered with a triple of his own before Gentile’s two freebies and a breakaway Melli dunk had Milano ahead 27-19. Jamon Lucas raced back for a basket and Kuqo’s jump hook brought Efes back to within four points. A Milano timeout did not stop the Anadolu run as Vujacic hit a jumper and Savanovic’s three from the left wing gave Efes the lead 27-28. Langford answered with a three-ball from the left corner but could not stop Farmer from twice driving to the basket to even the game. Antonis Fotsis however stopped on the break to hit a triple from the right wing to give Milano a 35-32 lead with under two minutes left in the first half. Fotsis nailed another long ball and Bourousis made two foul shots as Milano again found itself up six points 40-34, which was the halftime score. Kerem Gonlum put back an offensive rebound for his first points of the game to start the second half. 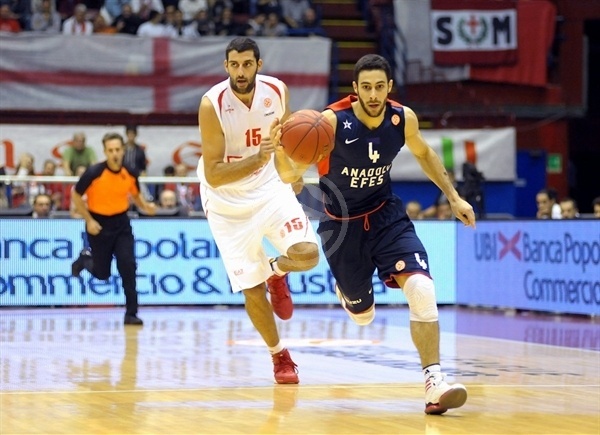 Bourousis answered with a jumper and Langford dropped a three-pointer for a 45-36 Milano lead. The host side committed two straight turnovers and allowed Efes to get back into the game with a Vujacic three-ball and a Gonlum steal and breakaway layup to make it 45-41. Vujacic converted an offensive rebound and then assisted on an Erden dunk to pull within 47-45. Langford again was on target from long range and Erden missed two free throws before Hairston made two foul shots and a three ball to push the lead to double-digits 55-45. Langford nailed a three in transition and Melli added a long ball of his own as the margin ballooned to 61-45 with the 14-0 run. Lucas hit back-to-back layups to try to keep Anadolu in the game and Savanovic’s free throw pulled the guests within 61-50. 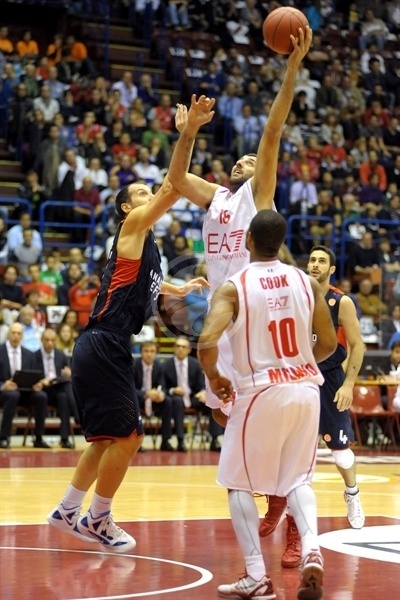 But Stipcevic nailed a long three-pointer just before the shot clock expired and Milano led 64-50 after three quarters. Bourousis opened the fourth quarter with two baskets to push the lead to 18 points – 68-50 with 8:30 left in the game. Efes refused to go down without a fight and Kuqo and Savanovic combined for 8 points and Birkan Batuk nailed a three-pointer in Istanbul’s 0-11 surge to make it 68-61 with more than five minutes left. Gianluca Basile drained a three-ball for his first points in the game to stop the Efes run and Hairston and Omar Cook knocked down back-to-back triples to re-establish a 12-point gap 77-65 with three minutes to play. 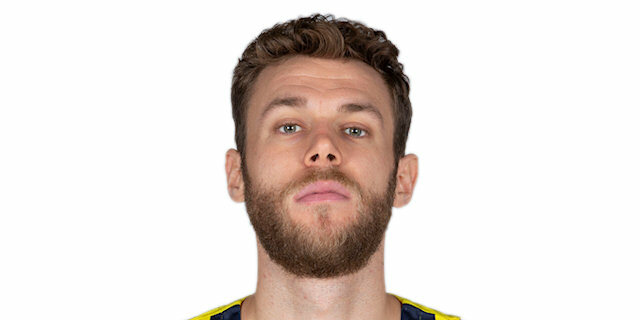 Farmer showed that Efes had one more run, hitting a three-pointer, three free throws and a breakaway layup to trim the gap to 79-75 with 46 seconds left. Anadolu had three shots to make it closer before Bourousis finally grabbed a defensive rebound and made 1 of 2 foul shots with 9.3 seconds left for the final 80-75 scoreline. "I'm very happy because we had a great start. Our three-point shooting percentage was decisive; we prepared the game thinking it could be a key. They are big and keep you far from the lane and the basket. Anadolu is a great team and this is the best way to start the Euroleague season, but we have to stay focused and think game by game." "First of all congratulations to them for the victory. Their run-and-gun was important for them, they scored in the clutch. We started soft, we tried to stop their three-point shooting performance but our defense was not enough; we did a little bit better in the last quarter, but they were in control. You cannot win at this level with this defense, we have to improve it." "This is important; this is what the team was built for, the Euroleague is part of our expectations. My ankle wasn't great, but I knew the game was important so I was going to be out there on the floor and be a part of the victory. We blew up part of our lead tonight, but we have to learn from this game. The sign of a good team is to not make the same mistake twice." "We made a great team effort, the defense was the key to the game. We stay focused and did not panic in the last minute when they came within just 4 points. We won and it will be very important in a short competition and in a balanced group. We're also happy because of our fans, who helped us a lot tonight with great support for all 40 minutes." "We lost because of mistakes on defense and because we allowed them too many three-pointers on fast breaks. We were able to come back to just 4 points, but then we missed three consecutive shots. We have to learn from this game and this defeat to be ready for the next one at home with the defending champions."